Vacuum flow restrictors which allows a few suction cups to miss the object(s) and still maintain enough vacuum level in the system. Suitable for handling different size sealed sheets/objects with the same flexible lifting device. 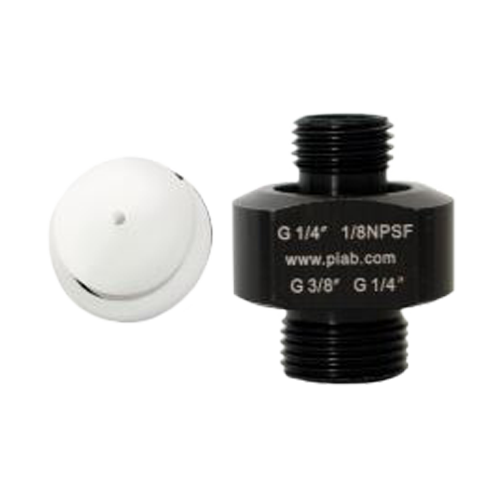 The vacuum flow restrictors shall be used in a centralized vacuum system, one for each suction cup. Designing with flow restrictors will require a smaller vacuum pump and save energy. Available in three sizes with different flow performance/characteristics to suit different size suction cups. The restrictors are integrated in an Al-fittng with female and male threaded connections to faciliate installation. 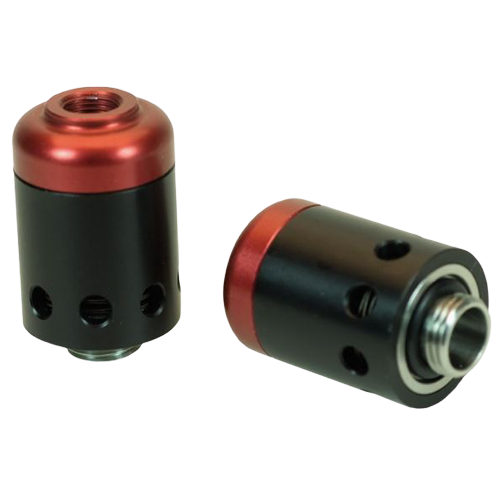 Vacuum check valves which allows a few suction cups to miss the object(s) and still maintain enough vacuum level in the system with quick response and release times. 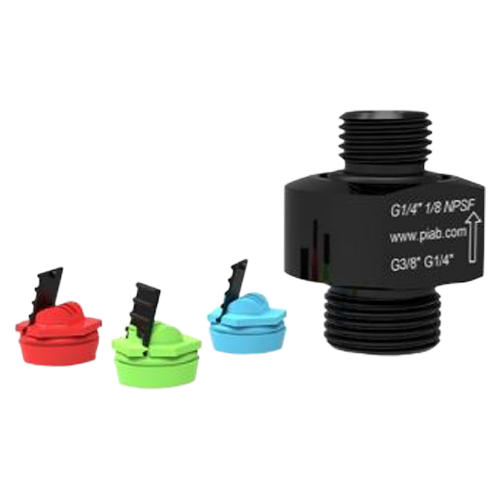 The vacuum check valves shall be used in a centralized vacuum system, one for each suction cup. Designing with vacuum check valves will require a smaller vacuum pump and save energy. Suitable for handling different size or different number of leaking objects such as MDF boards, corrugated cardboards, with a flexible handling device. Also suitable for objects with surface leakage around the lip of the suction cup. Available in three sizes with different flow performance/characteristics to suit different degree of leakage. The valves are integrated in an Al-fittng with female and male threaded connections to faciliate installation. Equalises pressure in the suction cups to provide fast release of the product. Extra fast release by accumulating and utilising the feed-air pressure as a boost. ON/OFF activated simultaneously with the ejector. 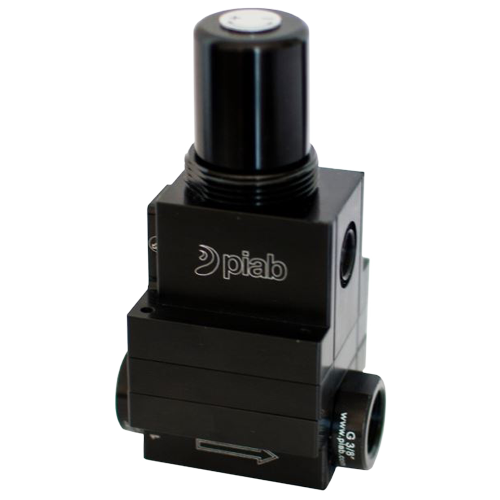 No additional controls required — use a single 3/2 control valve for the ejector and piSAVE release. 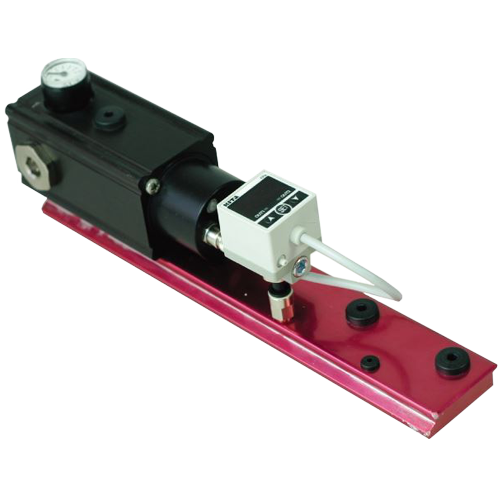 Independent pneumatic air-saving device for vacuum pumps. Adjustable vacuum controlled 2/2 NO valve. 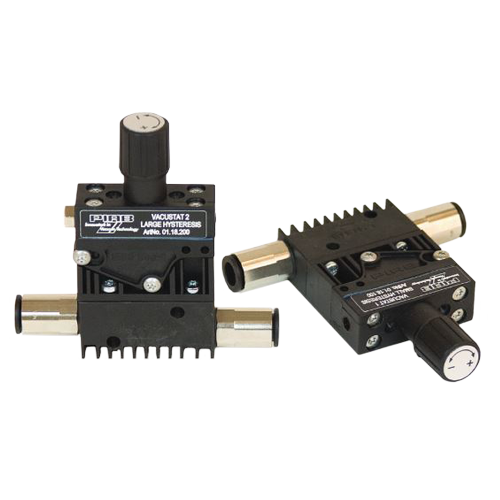 Available with large hysteresis for object handling and small hysteresis for process applications. The Vacustat is recommended for vacuum pumps in non-leaking systems. The vacuum pump must be fitted with a non-return valve. Extra port for Vacuum gauge. Air ventilation port with filter. piSAVE optimize gives maximum feed pressure/flow to vacuum pump/ejector until vacuum level starts to build up. Upgrade kit - available as an integrated module for piCLASSIC and Classic vacuum pumps.